Local officials in Columbia County, Georgia, wanted better public safety communications, synchronized traffic signals, and better connectivity for government facilities. They decided the best strategy was a publicly owned network and their decision is creating opportunities they hadn’t anticipated. When he considers how the county expanded its fiber network to improve economic development, education, and public savings, Columbia County Broadband Utility (C3BU) Broadband Manager Lewis Foster still sounds a little surprised. After all, Columbia County planned on using the network for a limited purpose, but then they realized the diversity of the asset. “It was almost an afterthought,” he says. In addition to serving Community Anchor Institutions (CAIs), municipal and county facilities, public safety facilities, schools, libraries and other public institutions, the plan would allow Internet Service Providers (ISPs) to use the fiber backbone to serve customers. County officials also hoped that the open access model would encourage providers to extend the last mile to local residents and businesses. In December of 2010, the county began constructing the network in several phases. By September 2012, the network began serving county government facilities and now connects approximately 150 CAIs throughout the county. Traffic lights across Columbia County are controlled and synchronized via the network to reduce road congestion and SCADA systems are in place to allow the water utility to monitor facilities. The network is more than 210 miles of underground plant covering 308 square miles. It currently offers 20 Gigabits per second (Gbps) of bandwidth capacity and is scalable to 100 Gbps. Most facilities that connect to the network contract with one of the ISPs offering Internet access via the infrastructure, but the cities of Harlem and Grovetown obtain Internet access from the C3BU. Several nonprofits that lease space in municipal buildings also take Internet access from the C3BU. CAIs, including healthcare facilities, libraries, and the Columbia County Health Department, are now paying lower rates for faster, more reliable connectivity via the fiber network. There are five private ISPs operating on the C3BU for Internet access, most of them serving CAIs and businesses. County schools are on the network and contract with the state consortium for Internet access services to get lower rates based on group purchasing. The county owns and operates seven communication tower facilities connecting to the network’s fiber-optic rings in strategic locations throughout the region. The towers provide colocation services where mobile wireless ISPs attach their equipment and connect with other networks. The structures are a key element in the county’s public safety improvement plans, a primary goal of the project. Each tower has multiple fiber entry points to ensure redundancy and the network supports the county sheriff’s digital radio system, Emergency Operations, Roads and Bridges and Fleet Services, and dispatches 911 services. In 2012, the county invested in a new radio system for the sheriff department to replace an outdated radio system. With the C3BU network in place, the cost of the radio system dropped from $12 million to $7 million. Reception now easily reaches to every area of the county; the old system often required deputies to strike the “Statute of Liberty” pose – radio in the air while talking into their lapel microphone to get reception. In 2014, the C3BU network withstood a severe ice storm when other communications in the region went down. 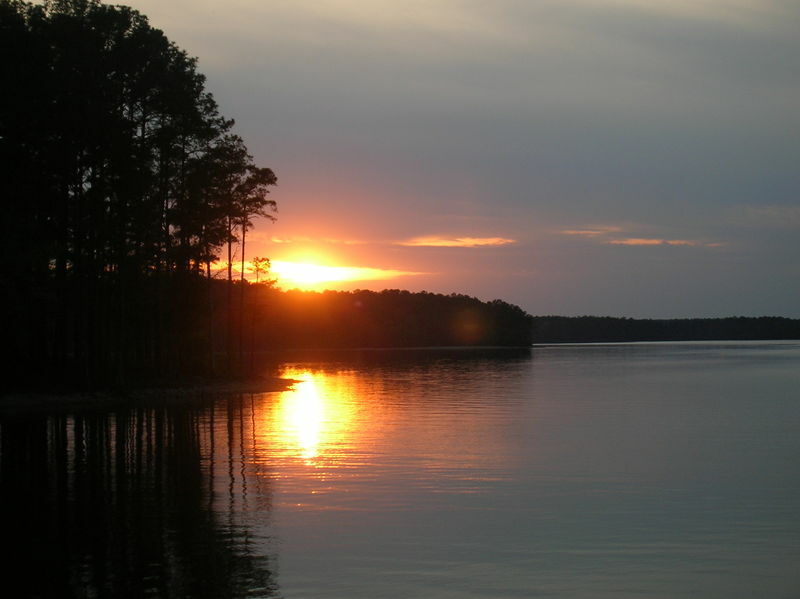 Columbia County, located along its central eastern border, is considered one of the fastest growing areas in the U.S. Between 2000 and 2010, the population increased by almost 39 percent and is currently approximately 135,000. The county seat is Appling, which is an unincorporated community that is considered part of the Augusta metropolitan area. There are about 5,100 people in Appling, but the county’s government and judicial centers are in much larger Evans, where there are approximately 29,000 people. The Savannah River borders the county to the east separating it from South Carolina. Before the 1950s, the community was primarily agrarian. In the 1950s, the Clarks Hill Dam was constructed which created a reservoir and new residential development. Population began to increase as people working in nearby Augusta began to settle in Columbia County. Fort Morgan, which remained operational after World War II, also employs a significant number of locals. Columbia County appeals to both history tourists and outdoor enthusiasts. Revolutionary and Civil War skirmishes occurred in the county and there is still colonial architecture standing. Their forests are home to bike trails, campgrounds, and a disc golf center and there’s an entertainment pavilion as well as museums and family game centers. 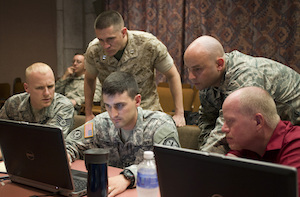 Fort Gordon’s Army Cyber Command Headquarters has expanded in recent years, adding both military personnel to the area and creating civilian positions. U3CB serves the Fort, which is expected to add approximately 6,000 residents over the next five years. A large portion of stimulus funded projects were middle mile networks like the C3BU. The feds theorized that with middle mile infrastructure in place, national providers would be inspired to build last mile connections to homes and businesses. That theory proved to be mostly incorrect because the challenge in last mile is the high capital cost; having robust middle mile may help lower operating costs but the upfront challenges are not significantly changed. In Columbia County, five ISPs are using the C3BU for middle mile services and several are investing to build out the last mile. None are the large corporate providers and most serve only business customers. West Carolina Telephone Cooperative (WCTEL) is deploying Fiber-to-the-Home (FTTH) to residential customers through its WCFiber project. The co-op has already started offering services in nine neighborhoods, one neighborhood has met its presubscription goal, and people in 13 more neighborhoods are signing up. WCTEL offers symmetrical 1 Gbps Internet access for $99.95 per month and has recently advertised special bulk pricing for neighborhoods where a majority of residents presubscribe. They also offer voice and video and several bundles to choose from. As the county’s population continues to grow, WCTEL has a foothold and can also grow with the C3BU infrastructure throughout the county. Check out their video below. Connecting households increases property values and attracts new residents to the county, but connecting businesses to improve economic development has always been part of the plan. Most of the providers that deliver services via the network specialize in business needs. Foster says that if a business wants to connect directly, C3BU can complete the construction for a fee and then the business will lease the connection or the business can build it themselves and C3BU will splice it into the middle mile network. In the case of the latter, the business will pay C3BU for transport, bandwidth, or whatever other services they agree to – each contract is unique depending on the needs of the customer. Arrangements with ISPs are also unique depending on what they want to offer customers and what they need from the C3BU. Some resell services, some offer Internet access, others focus only on data transport. There is one that uses the network to expand the reach of its own fiber infrastructure, while another uses the network to expand the reach of its wireless network. C3BU is a Software Defined Network (SDN) that provides carrier-class services to customers, so the infrastructure can offer highly specialized services. One of the primary purposes of the project was to develop a cost-efficient and self-sustaining network to improve services in the county but the asset is also generating revenue. In total, Foster says that the C3BU network brings in approximately $1.4 million in annual revenue for the county. The figure includes fees from CAIs, private providers, local businesses, and other entities that pay to use network assets. Revenue covers the C3BU operating expenses and there’s opportunity for future growth. As residents in the county sign up for expansion to their homes, the C3BU is expanding to add miles and allow the network to reach downtown Augusta and a key Atlanta colocation facility. 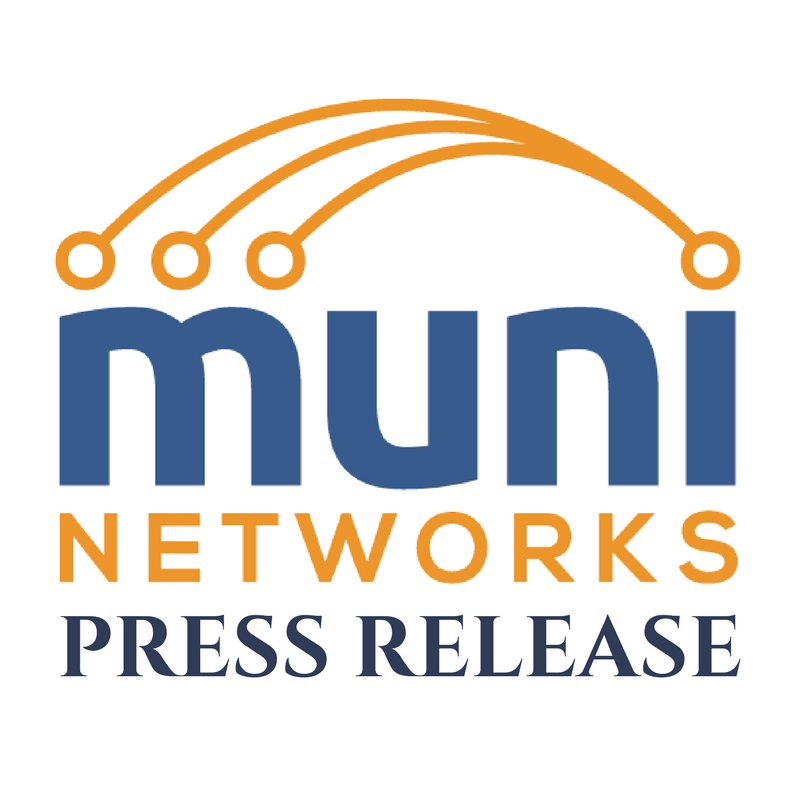 Uniti Fiber and the C3BU recently entered into an agreement to expand the network, adding approximately 48 miles to Augusta; as part of the expansion, C3BU will swap conduit and fiber with Uniti into the adjoining county. The network will connect directly to Colo Atlanta, one of the southeast’s largest colocation facilities. In Colo Atlanta Meet Me rooms, the C3BU network will connect to networks that reach other areas of the country and the world. The expansion will also facilitate transport and the opportunity for connectivity in Augusta, the location of a number of data centers. The expansion is set to be completed during the first quarter of 2017. As Columbia County experiences sharp growth, the C3BU network will ensure that the schools, healthcare facilities, and government services have fast, affordable, reliable connectivity to efficiently serve the public. Likewise, as people move into the area and fuel the demand for high-quality Internet access, there is at least one provider who sees potential in serving them. With their publicly owned network in place, Columbia County can stay competitive with its neighbors in Augusta and Atlanta. Update: Since we posted this story, Foster contacted us to let us know that the firm completion date for the expansion is now April 17, 2017.